(63/37 Rosin Core) - ..031" Diameter, 1 lb Spool, contains lead alloy. 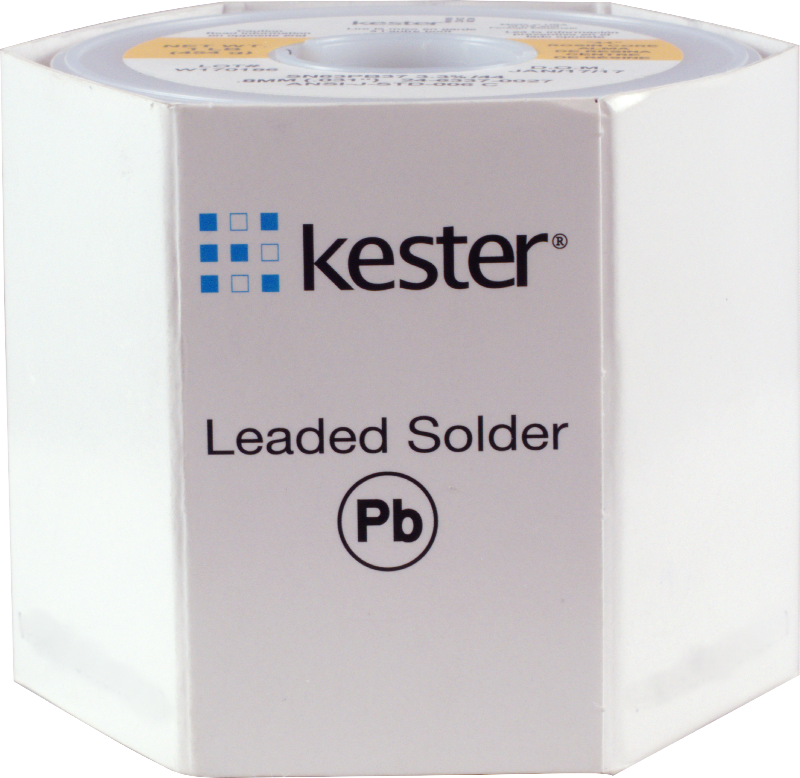 Kester 44 Rosin Flux is an activated rosin formula for use in flux-cored solder wire. Kester 44 Rosin Flux has virtually dominated the field of activated rosin core solders for well over four decades. An outstanding performance feature of this flux is the “instant-action” wetting behavior. 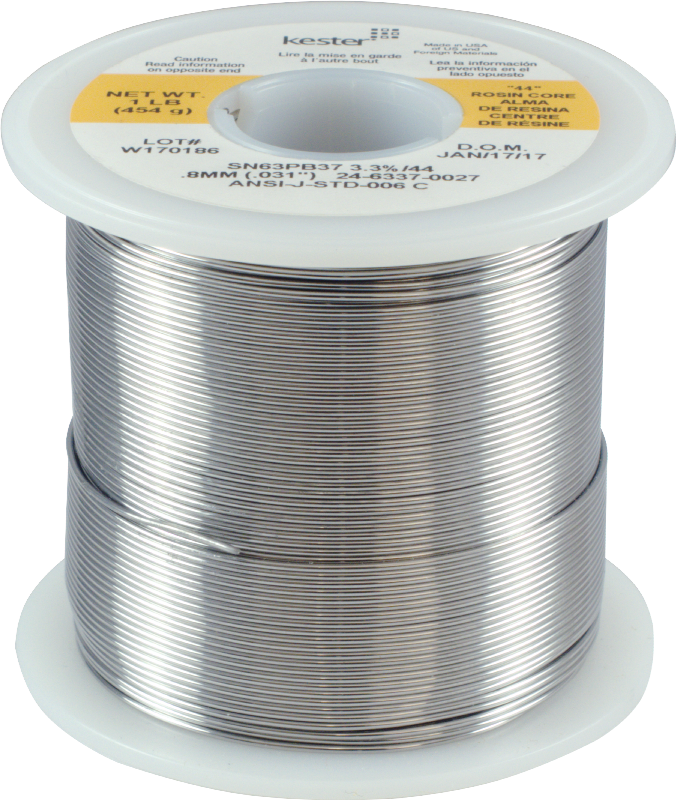 The high mobility and fast-spreading action of this flux results in more reliable production line soldering. Packaging Dimensions 2.5 in. x 2.25 in. x 2.25 in.